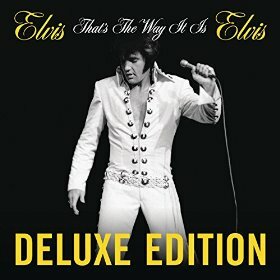 Yet another reissue for the King: this deluxe edition is billed as the “the monumental definitive edition” — even definitive is a worn out word now — of his 1970 album and concert documentary, all in a box set of eight CDs and two DVDs. It includes an expanded version of original LP, six complete shows from Elvis’s 1970 Las Vegas Season rehearsals, the 1970 theatrical edit and the 2001 special edition of Elvis: That’s The Way It Is, an 80-page booklet featuring rare photographs, memorabilia and recording data. All for 60 notes. Kerching!